The first car is a mixture of tools and scrap. 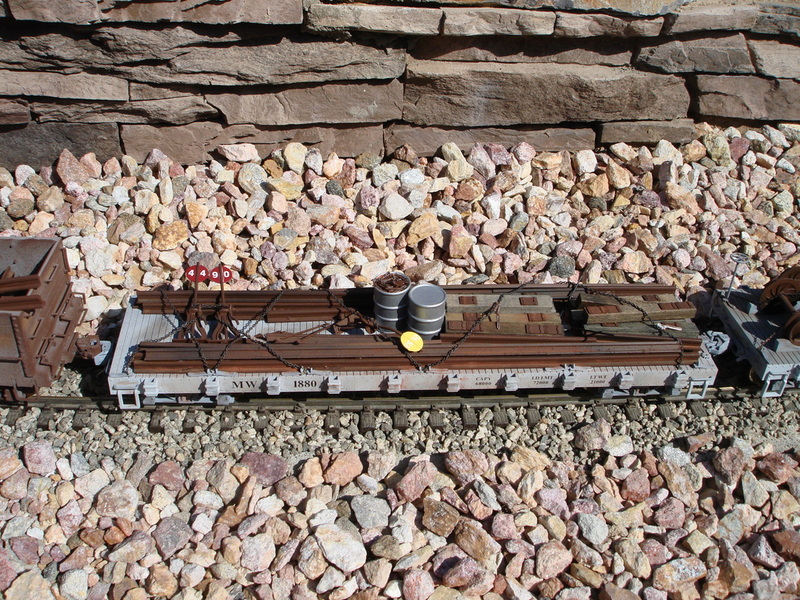 It started out as a USA Trains tie and wheel car. 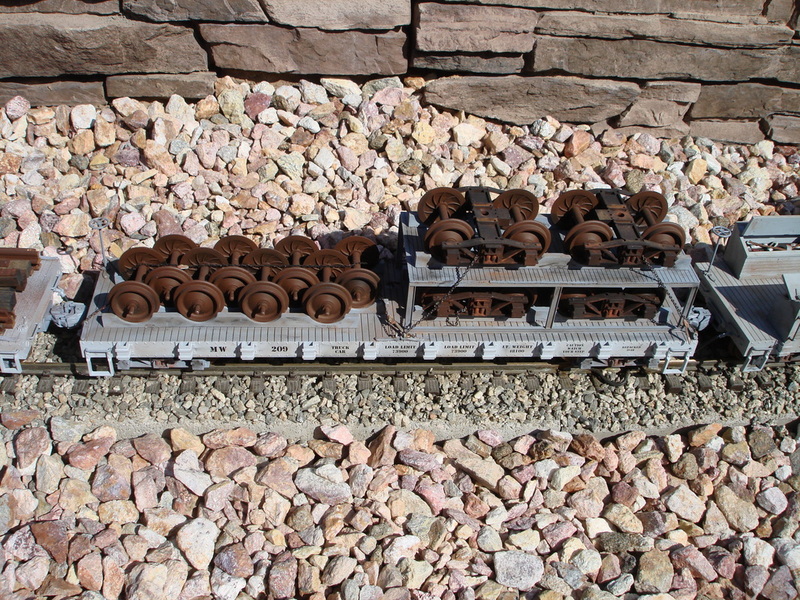 Scrap pieces of rail were painted and weathered to look as if they had been well used. Junk ties and wheels were added to the bin on the front of the car. Assorted tools and signs were placed around the rest of the car. It was also well weathered to show signs of age. Next is the rail and tie car. This is also a USA Trains flat. Again, rails and ties were painted and weathered to show signs of age. Three switch stands are also being transported down the line. This is a very heavy car to move. 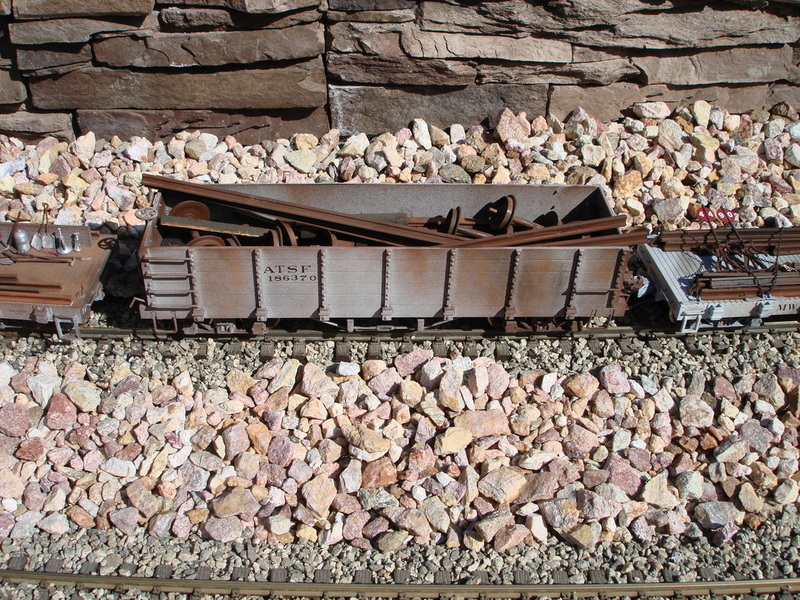 This is a Bachmann gondola that I threw scrap rail and wheels into. It is also very heavy to move around. 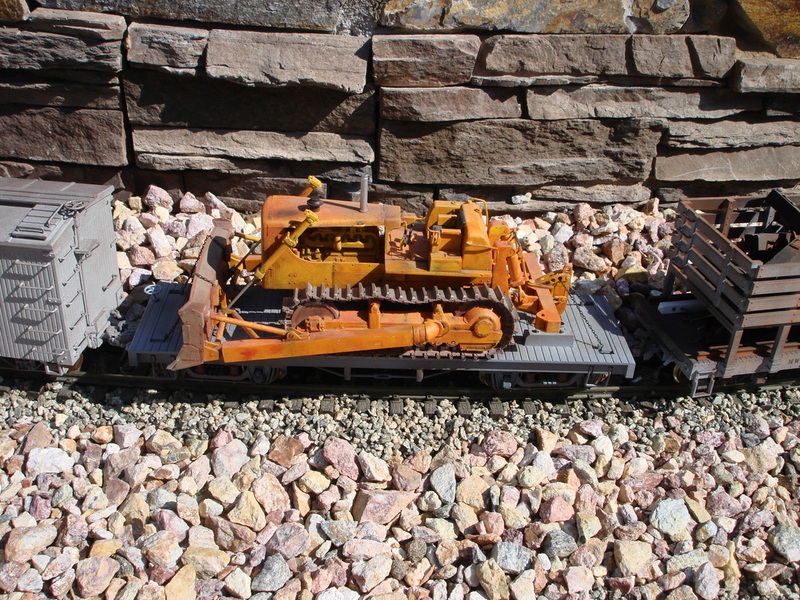 A bulldozer is a necessary item at a wreck site. This was a 1,000+ piece kit that was painted and weathered. It is extremely detailed (all the way down to the foam showing out of the ripped seat) and the pictures do not do the weathering justice. Every wreck site needs replacement wheels and trucks. This USA wheel car meets the need. 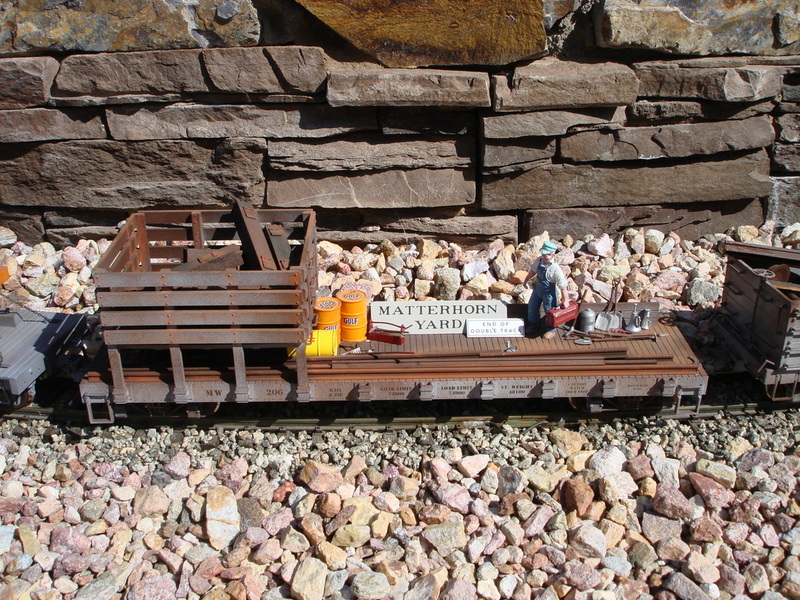 The platform that the trucks are chained down to was scratch built. All the wheels and trucks were weathered to look like the real thing.